Since this new place needs some posts to get things rolling, I thought about an idea to create a topic so we can all show what we have collected over the many years Dino-Riders based. 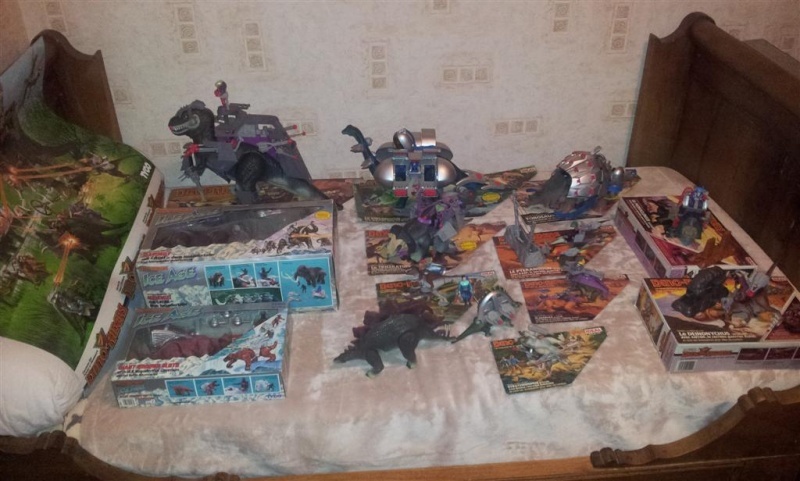 Here my collection start with showing the brand new Mint in Box Torosaurus which I bought off ebay USA some time ago for 130 USD incl shipping & free custom taxes to The Netherlands and yeah that was a great bargain hunt I can say! 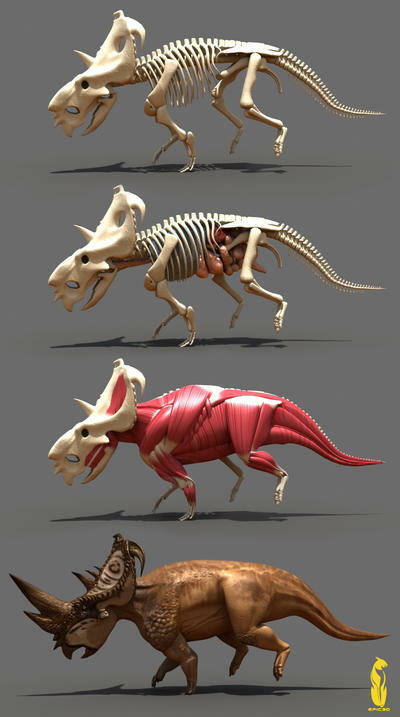 Also the new replaced Triceratops Dinosaur, the newly replaced Mint in Box Deinonychus with Sky set, Mint in box ICE AGE Sabre Toothed Tiger, ICE AGE Giant Wart Hog and the Loose Pachyrhinosaurus has also been given their places. Although I d wonder if would it of really had such a large, horn? Hopefully this year I migth be able to add some more minerals in there or maybe a new Dino-Rider who knows right ! 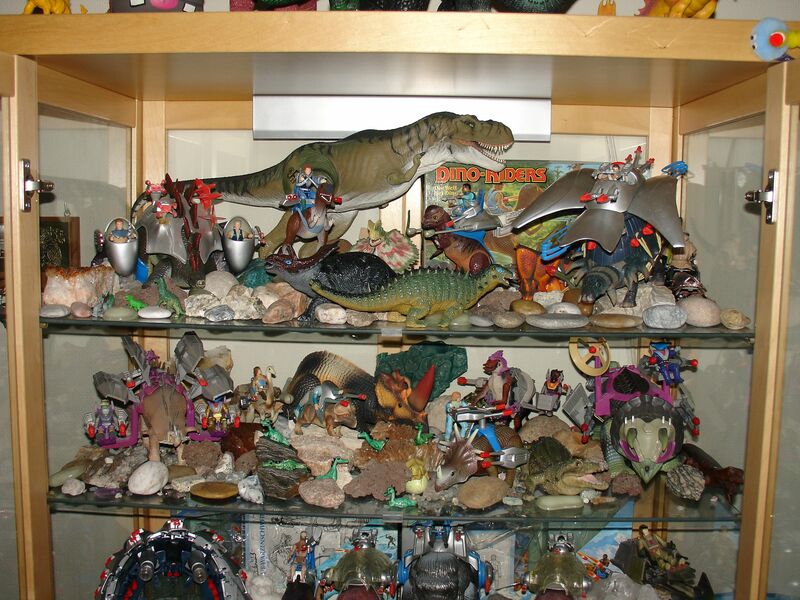 Re: Post Your Dino Riders Collections Everyone! Dinoriders and Tsukudas for company. Still looking for a few things but yeah they will come one day and then after that I plan to preserve them as long as I can heh, this was my first true collection of anything special. 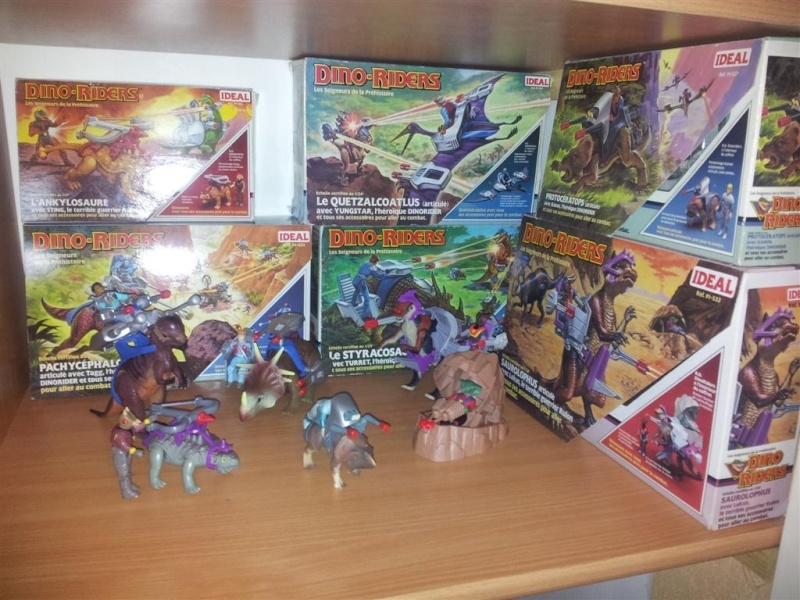 Is this only for Dino Riders or can we also post pictures of the re-released Versions? Because as far as Dino Riders goes, I only have the Torosaurus, but I also have some of the Dinosaur Collection releases. Tylo, your displays are quite spectacular! This is my collection of the complete series (these were taken a few years ago on an older camera so the picture quality isn't as good as it could be). I'll have to get around to taking higher quality pictures one day. 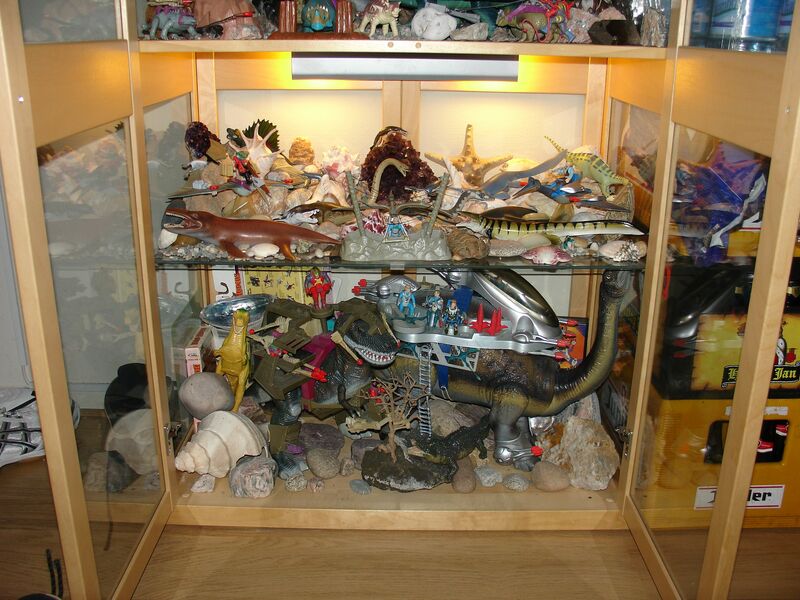 This has all of the dinosaurs and figures, including the Cadillacs and Dinosaurs versions, the Super Dough T Rex and Quetzalcoatlus and the mail-away Ptreodactyl. Thanks! After I set everything up, I thought it would be fitting to get a custom name plate. I remember going to the local sporting goods store and asking the clerk to make me up a trophy plate. "What type of award is this for?" "No, no award. Just make it say 'The Dino-Riders Collection'!" You can imagine the look I got. Hammerhead-men, Ant-men, and Snake-men i can see, but what is Krulos? I suspect a frog-man, but he is the only one needing a bubble-suit like SlushHead (from New Adventures of He-Man). 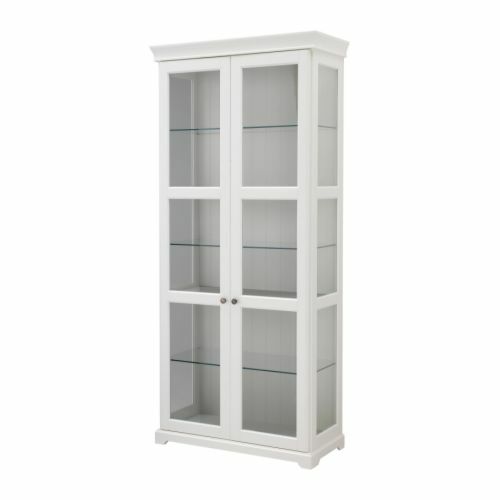 This will be part of my collection soon. I just won this on eBay. I always figured that he would be some kind of totally aquatic frog whose species does not change from gills to lungs when maturing. French boxes. Quetzacoatlus is shy, hidden in its box. I have repaired the lights of Torosaurus' armor, but it's quite weak. Cool. What is the on the left side of the second picture? Is that a poster of some kind? I don't believe I've come across that before.